Life is not only about what you want to do, but also who you want to be. Keep on making the difference by considering the whole context we live in. ERShub is a Network of researchers, students, scholars, administrative staff, and professionals interested in ERS issues and in exchanging ideas, knowledge and information to foster project-based collaboration. 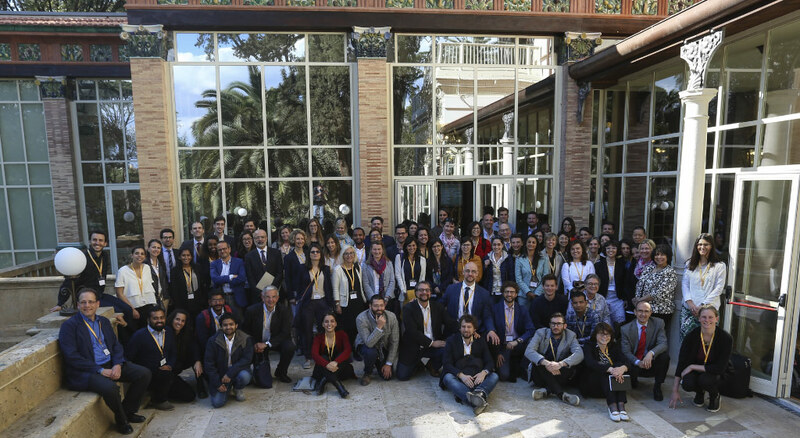 ERShub is coordinated by a Facilitation Team, in charge of giving value to all the activities related to ERS going on in LUISS Business School, in the Department of Management and the university more in general. Moreover, ERShub is supported by an external Advisory Committee that provides suggestions on how to develop and implement ERShub activities. Francesco Rullani is Assistant Professor in Entrepreneurship and Management of Innovation at LUISS Guido Carli in Rome (IT) and Coordinator of the ERSHub (the Hub for Ethics, Responsibility and Sustainability). Previously, he has been Assistant Professor at Copenhagen Business School (DK). He has worked for Fondazione ENI Enrico Mattei (IT), and received his PhD from LEM at Sant’Anna School of Advanced Studies (IT). He has been visiting fellow at Stanford University (USA) and Bocconi University (IT). His research focuses on collective knowledge creation, self-organizing innovation, social innovation, and social entrepreneurship. He has published in journals such as Strategic Management Journal, Research Policy, Industrial and Corporate Change, International Journal of Industrial Organization and Industry and Innovation. Further information on Francesco’s work can be found at the following website. Luca Mongelli is Academic Dean and Managing Director of PCM at the Pontifical University of Holy Cross. At LUISS Guido Carli is the Scientific Coordinator of ERSHub (the Hub for Ethics, Responsibility and Sustainability) and runs the entrepreneurial lab of Social Impact Program. He has been part of the Task-Force for the EQUIS accreditation of the LUISS School, working on the creation and launch of the ERSHub of which he was Executive Coordinator. In LUISS he also held the position of Country Manager for the European Research Project on Social Enterprise SEFORIS. He has got his PhD in Management at LUISS, and has been visiting scholar at the Royal School of Technology in Stockholm, and at the Stern Business School of New York University. His two main research streams: 1) hybrid organizations and institutional logics, business models of social enterprises for the empowerment of marginalized individuals, and integral human development; 2) breakthrough innovation, mainly firms’ reactions to discontinuous technological shift. Claudia holds a master degree in philosophy, a master in Human Resources Management and a Master in Training Management. She’s also Project Manager certificated by ISIPM. She’s now coordinator of the ERS and Students’ development office, that provides students enrolled in bachelor or master degrees with many different courses and experiences that combine soft skills with Ethic, Responsibility and Sustainability issues. She has been working in LUISS since 2008. Before, she worked in the HR department of big companies both in the field of training/development and selection, and in a consultant firm as executive training specialist. Simone Budini is Project Manager of ERSHub and Invited Professor of Political Philosophy of Pontifical Salesian University of Rome. He holds two master degrees in Political Science (La Sapienza) and Philosophy (Tor Vergata), and a PhD in Political Philosophy and History of Political Doctrines (La Sapienza). His research focus on the relationship between individual, religious and political ethic; bioethics and post-humanism. Further information on Simone’s work can be found at the following website. Francesca Capo is a Post Doc Research Fellow in Management. She holds a PhD in Management (LUISS Guido Carli University) and has been visiting scholar at Catolica University (Lisbon) and Ross School of Business and Management (Ann Arbor, Michigan). Her research focuses on Institutional Theory, Institutional Logics and Hybrid Organizations. She has presented her works in progress in several conferences: Academy of Management, European Group for Organizational Studies, IESE-LUISS Conference on Hybrid Organizations. She is ad hoc reviewer for Journal of Business Ethics and Academy of Management Meeting. She has been Lecturer for the ERSHub and TA for the courses of Corporate Strategy and Technology and Innovation Management. Pietro Versari holds a bachelor degree in political science and a master degree in organizational management. Currently he is a PhD student at Luiss Guido Carli University (Rome, Italy), and has been visiting student at Hertie School of Governance (Berlin, Germany) and at the Yunus Centre for Social Business and Health of Glasgow Caledonian University (Glasgow, Scotland). His research focuses on the business models of social enterprises, the management of conflict inside hybrid organizations, and the mechanisms facilitating collaboration between nonprofit and for-profit sectors.